Your idea of Las Vegas things to do may not be the same as mine, but you will agree the place is definitely a Disney World for adults. It is absolutely impossible to see and do everything, even if you stayed for a month. But because you can probably only spend a few days there, here are some ideas for activities you may not have thought of. Whatever you do, don’t miss seeing one of the most popular free attractions in Las Vegas. You can watch it on an eight-acre lake located right in front of the Bellagio Casino Hotel on the Strip. Spanning over 1,000 feet, more than 1,000 water nozzles combine with 4,000 lights, creating awesome musical patterns. You’ll marvel at the water choreography and the variety of musical styles. The show runs every half hour, Monday to Friday from 3 pm to 8 pm, after that every 15 minutes until midnight. Saturday and Sunday performances begin at 12 noon. Among the free Las Vegas things to do, this one is second to none. The Eiffel Tower at Paris Las Vegas is an exact reproduction of one of Europe’s most famous landmarks, rendered meticulously at 1/2 scale. Ride to the top, where you’ll have a stunning, panoramic view of the Las Vegas valley, from 460 feet above the ground. Knowledgeable players seek out “full pay” video poker games, where, with expert strategy, you can gain a real edge over the casino. At the Palms Casino they have lots of full-pay video poker machines at the quarter, dollar and higher levels. The Palms is off the Strip at 4321 W. Flamingo Rd. Even if you’re not planning to do any “real” gambling yourself, it’s more fun when you know the rules while watching others. Free gambling classes (in Vegas they call it “gaming”) are offered at most casinos. Sit in and get a quick lesson on roulette, craps, baccarat and even video poker. If you want to gamble for real, but without risking much money, look for low-limit games. On the Strip you can still find $1 Roulette, $3 Craps and $5 Blackjack at Casino Royale. 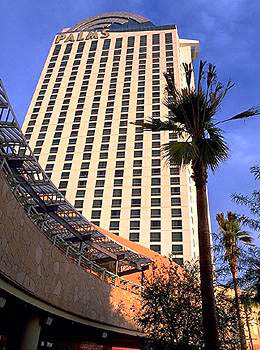 The location is right across the street from the Mirage, between Harrah’s and the Venetian. If you’re taking the children on vacation to Las Vegas, there is a lot for them to do besides whiling away the hours in the hotel pool. Most hotels have arcades and game rooms for children. 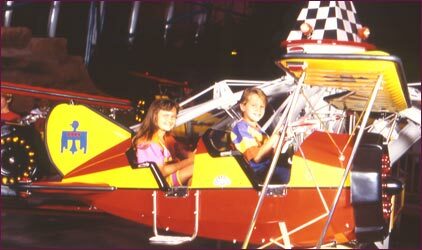 Adults and kids alike will enjoy the roller coaster at New York New York and the thrill rides at the Stratosphere Tower. And there is the Adventuredome, a 5.5-acre indoor amusement park at Circus Circus. Then there are animal attractions such as the Lion Habitat at the MGM Grand, the Shark Reef at Mandalay Bay, the White Tigers at the Mirage, and a number of others. Just 15 miles outside of Las Vegas is Red Rock Canyon. It is so named because of the striking red sandstone formations that abound in the valley. Layers of red sandstone and gray limestone create dramatic scenery. Red Rock Canyon State Park offers facilities for picnics, and you can ejoy hiking, biking,rock climbing and other activities. Stop in at the visitors center where you can view interesting exhibits. Only minutes from the glitter and glamour of Las Vegas is a very different kind of fun. Take a Lake Mead Cruise in an authentic, three-level, Mississippi-style paddlewheeler and witness the full beauty and majesty of the area. Plenty of sunshine and refreshing breezes are yours to enjoy while you take in the breathtaking sights. This state park is located 55 miles northeast of Las Vegas via Interstate 15 and on exit 75. Valley of Fire is Nevada’s oldest and largest state park, dedicated in 1935. The valley derives its name from the stark beauty of the Mojave Desert. Ancient trees and early humans are represented throughout the park by areas of petrified wood and 3,000 year-old Indian petroglyph. Popular activities include camping, hiking, picnicking and photography. The park is open all year. This site sells show tickets: BestofVegas.com. Here are 50 more Las Vegas Things To Do.